Hotels often try to differentiate themselves by offering unique services and amenities, and some hotels are attracting guests in a distinct way. Here are three hotels that are going above and beyond normal expectations by trying out new, interesting designs in architecture. 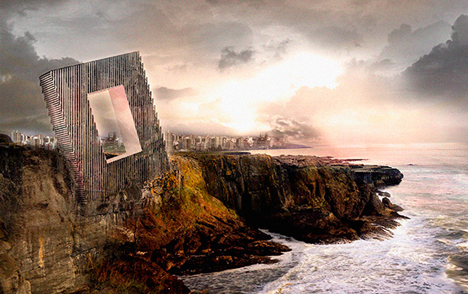 The Hotel Unbalance in Lima, Peru looks like a building falling off the edge of a cliff. It is designed to be partially built into the cliff in effort to give it an unbalanced appearance and to maximize the views of the Pacific Ocean and Andes Mountains. The Hotel Unbalance will have 125 guest rooms, rooftop restaurants, conference rooms, and exhibition spaces. The property is still in its development stage so it is not known when it will open. 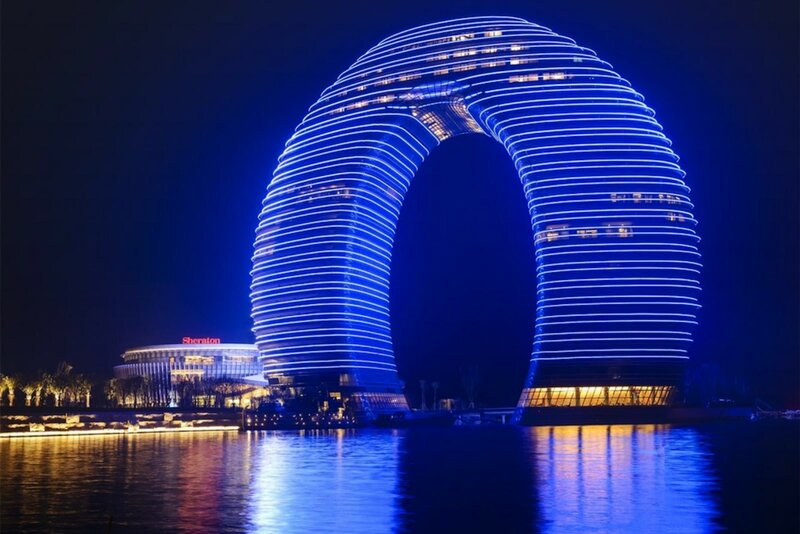 The Sheraton Huzhou Hot Spring Resort, opening in October 2013, is in the shape of a doughnut – while not visible, the bottom ends are connected by underground floors. The exterior of this hotel also stands out with an LED light system that displays animated textures and patterns. The resort offers 321 guest rooms each with private balconies. The InterContinental Shimao Shanghai Wonderland is a 19 story hotel and attraction being constructed in an old quarry and set to open in late 2014 or early 2015. Sixteen floors of the hotel will be located underground and built onto the side of the quarry while the other three are above ground. Underground, guests can enjoy luxury rooms, a spa, restaurants (including one underwater), and an aquarium. Above ground, the resort will feature adventurous activities, such as rock climbing and bungee jumping utilizing the hotel’s cliffs. Add these to our list of “hotels to visit”!